Eileen "Bundle" Brent is an amateur detective. Her "day" job is the young daughter of Lord Caterham, latest titled man to hold dominion over the stately manor known as Chimneys. That fancy abode and estate grounds is "a place where kings and queens go for weekends, and diplomatists forgather and diplome". Daddy is Clement Edward Alistair Brent, the ninth Marquis of Caterham and a man less looking like a nobleman one is not likely to find. He is a small man who routinely dresses shabbily and has little pleasure in his position. It was his brother, the late eighth Marquis, who had been the powerhouse of his generation, being for a time the Secretary of State for Foreign Affairs and involved in all manner of high level goings-on. Clement Brent prefered to stay out of the way but when his sibling's death thrust him into his title, he reluctantly took it. Eileen Brent, nicknamed Bundle, is a young woman likely around 19 years of age and very much not reveling in her position of "Lady". She is described as more of a "red-hot Socialist" than a member of nobility. "Tall, slim and dark, with an attractive boyish face and a very determined manner" is how she is pictured when we first meet her. Bundle has no aspirations for getting involved in cloak and dagger work but she most definitely gets intrigued with mysteries and with murder and the two different recorded cases we have put her in the midst of both as well as going up against spies and other secretive sorts. Thinking closer about it, though, Bundle would definitely have made a very good operative because she is not only inquisitive and intuitive, she is so delightfully not what people would consider "spy" material, she would get away with it. The two Bundle Brent adventures are commonly, and more properly, usually listed in the Superintendent Battle series of mysteries as he is the detective who is chief investigator in the murders that happen. There would be three more of his stories penned by Dame Agatha but alas none of them would include the delightful Ms. Brent. Numerous mysteries converge at one fancy estate, Chimneys, during a weekend outing hosted by the owner. A murdered prince of a Balkan nation, a missing diamond, and some stolen letters are all sought by different forces. Eileen 'Bundle' Brent is the daughter of the manor owner and in her element as she helps Superintendent Battle make sense of everything. When the manor Chimneys is rented out to a wealthy man and his wife, they are joined by a group of young men and women for a weekend. On a prank, the group decide to each leave an alarm clock in the room of one of the men who has trouble waking in the morning. There were eight clocks so put but the next day the man is dead and one of the clocks is missing. 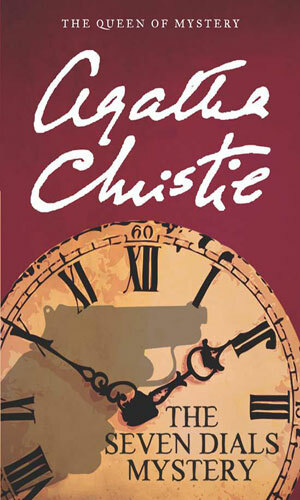 Eileen Brent becomes determined to learn who killed the man and why the missing clock. She will become involved in several murders and a missing formula. 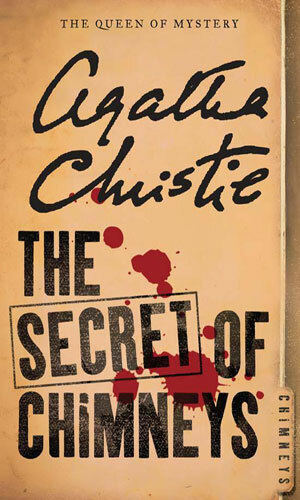 Though Agatha Christie is, of course, known for her delightful murder mysteries, often starring either the incomparable Hercule Poirot or the wonderful Miss Marple, she also penned several adventures in which the cases touched on or slid over into the realm of the spy novel. Certainly trying to get secrets or keep them for God and Country or just to get rich is a staple motive in many a mystery. As mentioned in its own page, her first foray into the cloak and dagger world was with Tommy and Tuppence with their first book being her second published novel. That was in 1922 and three years later she again introduced a new detective who would find his case involved international intrigue. That would be Superintendent Battles. For our purposes, though, we look at another very important player in the first two of his tales, the delightful Eileen Brent, aka Bundle. These tales are murder mysteries, no doubt. They are also wonderful side excursions into spy fiction and the young woman deserves her place in the lists of spy series.